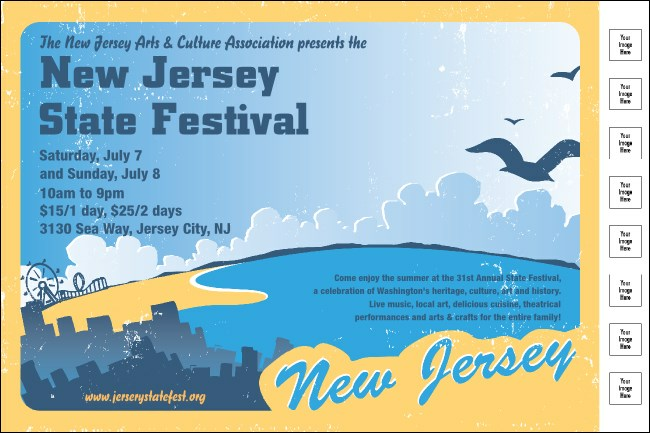 Here's one way to ferry all the pertinent information: send it far and wide with the New Jersey Poster! Make sure your details end up in the right hands when you fit the important data into twelve lines of text, and customize the Poster with eight images, logos, or photos from your own computer files. Take the Turnpike to great events with fast delivery from TicketPrinting.com.